Incrementally delivering business value, through short iterations (SCRUM) and virtuous loops of feedback (XP). Roles’ boundaries are blurred, everyone’s focused on quality. Testers help customers clarify requirements, turn those into tests that guide development, and provide a holistic viewpoint to the team. The whole team takes responsibility for quality. You have a large variety of skills and experience levels focused on delivering value. The team develops testable code, right from the start. Try the “Power of Three” — a tester, a programmer, and a business expert. On an agile team, programmers test and testers do everything at their reach to help the team deliver the best possible product. Focus on the team’s goals and help everyone do their best work. Always try the simplest approach. Focus on delivering value. Development should be people-centric and enjoyable. Continuously find better ways to work — read books, blogs, go to meetups, communicate, try. Make time to do exploratory testing by automating everything else. 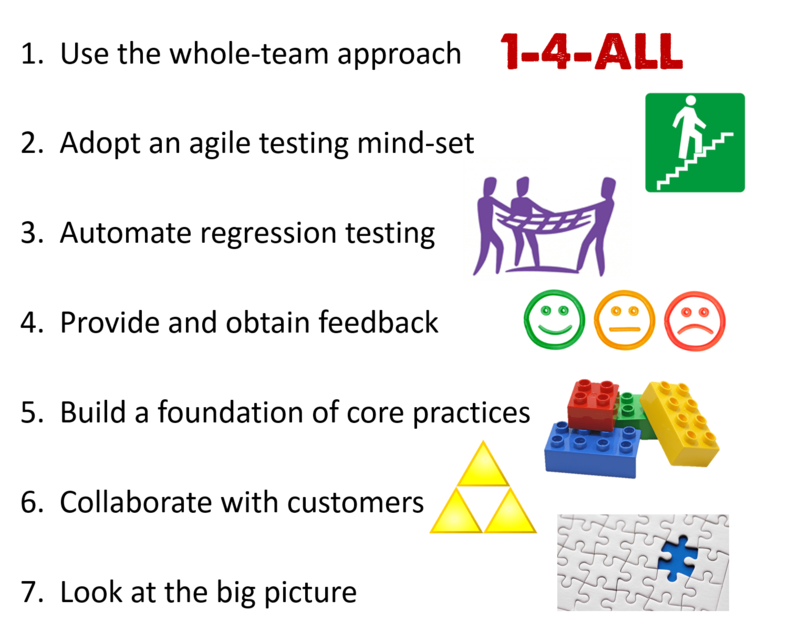 Automating regression tests is a team effort (Agile Testing Quadrants + Test Automation Pyramid). It will be hard and hurt at first. Provide constant feedback in order to keep the team on track. Ask developers if they get enough information from tests/examples. Ask customers if they feel their quality criteria are being met. Coding and testing are part of one process. Convert those examples into executable tests. Never get in the way against “Power of Three”. Testers tend to look at the big picture, and usually from a customer point of view. Someone has to consider the impact to the larger system. Help your team take a step back now and then.